How many different ways are there to say how much Angelenos love the Griffith Park Free Shakespeare Festival? Thousands. Ask anyone who’s ever parked themselves on a blanket or lawn chair with their family and friends and you’ll get as many different answers as there are people in the audience. Some come for the ambience, others to see quality theatre performances at an affordable price (free, but donations are always encouraged). Some simply want to enjoy the sense of community the event fosters, and still others are there to learn, to converse, or to challenge themselves with something new. Regardless, few would argue that sitting out under the stars listening to Shakespeare’s words is a singularly perfect Los Angeles summer tradition. In case you need more convincing, I’ll give you my Top 5 Reasons to go. 5: The Park: We live in one of the most beautiful cities in the world yet there are people who never commune with nature. Get off the sidewalk and get yourself outdoors! Nothing beats a bad day like a great night out in the park. It’s accessible to everyone at no charge, has easy parking, plenty of room to spread out, and will make you feel like yourself again. Need I say more? 4. The People: Bring your friends, family, date or say hello to the people on the blanket next to you and make some new friends. Remember what I said earlier about building community? It’s true. I’ve met some of the nicest people simply because they were sitting nearby and we struck up a conversation and had a few laughs together. Bring a little food to share and you’re in like Flynn. 3. The Special Events: In addition to the main performance, you can take part in free family-friendly interactive workshops at 5pm. You’ll get to meet the actors, take a backstage tour, and participate in fun activities that will introduce you to the play. Upcoming workshop dates are July 9 & 17 and August 7 & 27. It’s best if you make a reservation HERE or you can call (818) 710-6306. ISC also offers a free Salon Series at 6pm on selected dates. Some of this year’s topics include History, Plants, Animals, and Good Stewardship of the Old Zoo with Ranger Mendibles, City of Los Angeles Dept. of Recreation and Parks Ranger, discussions with the directors of Richard III (Melissa Chalsma) and The Tempest (Matthew Earnest), The Tempest by The Book with John Frank, Los Angeles Public Library Sr. Librarian, and The Quality of Mercy with LA Stage Alliance Executive Director, Steven Leigh Morris. They’re even hosting a special art date for the whole family on August 13 at 4pm with The Barrio Mobile Art Unit from Self Help Graphics & Art where you can create your own Shakespeare-inspired print. To find out more about these and all ISC special events, go to iscla.org/griffith-park-festival. 2. The Production: It doesn’t really matter which one it is. 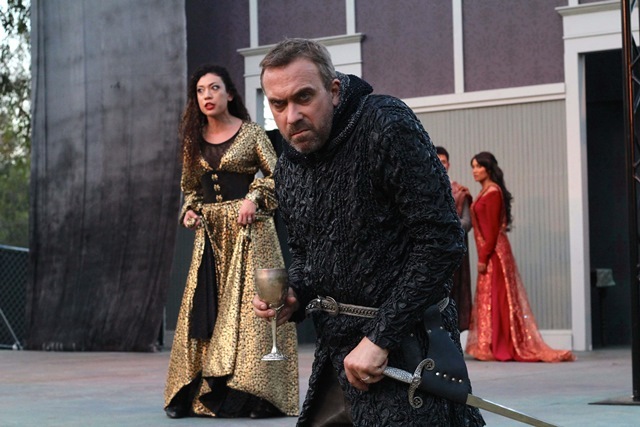 Comedy, tragedy, history, farce – they’re all wonderful, especially outdoors. 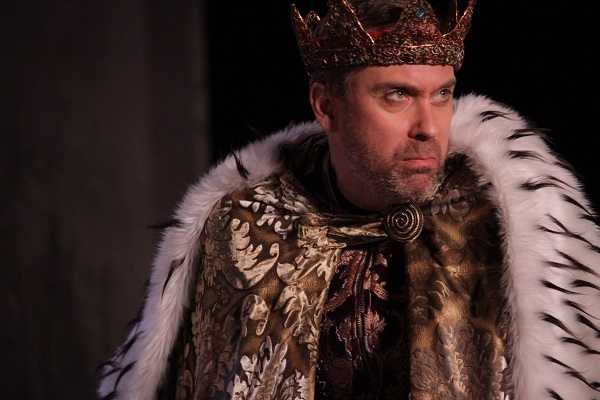 Through July 24 you’ll enjoy Richard III, my favorite villain of all. 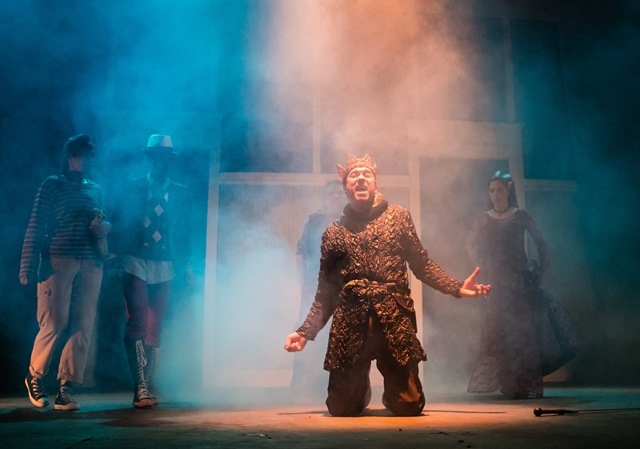 For this production, director Melissa Chalsma and the company draw heavily from an 18th century adaptation of the play by Colley Cibber that streamlines the action, to which they’ve restored much of Shakespeare’s original text. They’ve also added a rock band for a little modern appeal (which also punctuates the fight scenes quite effectively) and use both contemporary and period costumes in their design (think Viper Room for the younger cast members and traditional period gowns and robes for the royals). Straddling the two worlds doesn’t always feel natural but then Richard swoops across the stage and you forget everything else. He’s played by ISC veteran actor David Melville and while this villain may initially look harmless (he is deformed after all) make no mistake. He is a monster. Slick, covert, and obsessed, manipulation is his game and everything he does is to achieve his ultimate goal: to be king. Melville uses every technique in the book to get there. He toys with Ann (Mary Goodchild) taking great delight in wooing and winning her after he’s killed her husband, and we shudder. He orders the deaths of two young boys and as the deadly deeds are carried out, we cringe. And when he intimidates Elizabeth (Aisha Kabia) in one of the most sickening scenes of all, we shake our heads in disgust. Richard uses people up and tosses them aside right and left. Melville is on fire. Only one woman can stand up to such a demon and listening to Margaret rain down curses on Richard, and the entire court, is one of the best scenes of the night. An excellent Kalean Ung is in full command of the stage and when this cornered cougar finds her moment to attack, she unleashes a firestorm. Listen well to her words for everything she says is about to come true. There isn’t a man or woman in the audience who won’t want to burst into spontaneous applause after her tirade and she deserves every bit of the acknowledgment. 1. You live in L.A: People outside our fair city would give their right arm to have access to the kind of entertainment Independent Shakespeare Co. and the Griffith Park Free Shakespeare Festival provides. Don’t let summer pass you by. Go. Experience it. I guarantee you’ll be better for it.